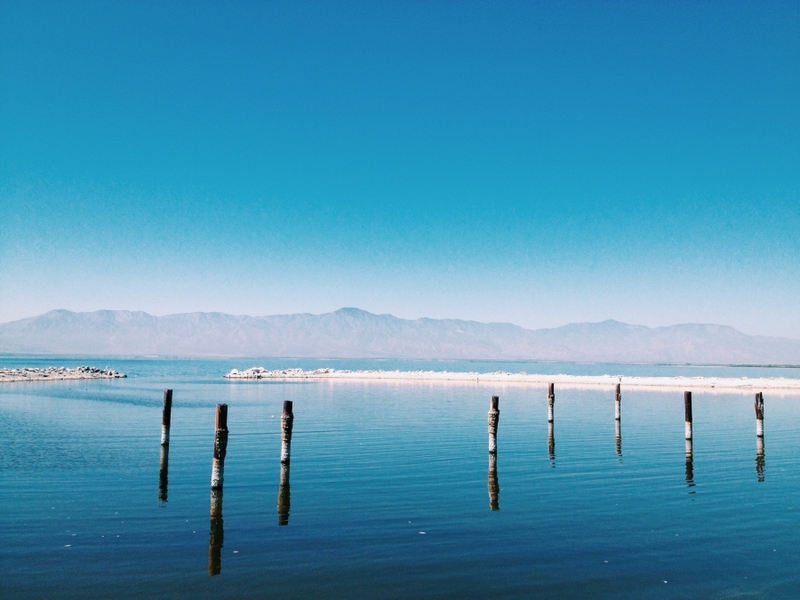 We took a trip to the Salton Sea – a desolate desert lake that is devastatingly beautiful with heartbreaking poverty. The lake was formed in the early 1900s when the Colorado river flooded and poured into a low depression for over 18 months. In the late 1950s the lake was vibrant and a destination for boating and fishing. Now the lake’s salinity level is rapidly rising because there is no natural drainage for the lake. That combined with all the agricultural runoff pouring into the lake has resulted in increasing algae and bacteria. The fish die by the millions and float across the lake and pool along the banks. Not a boat is seen on the lake’s glassy service and the shoreline is lined with burned out buildings and rotting docks. 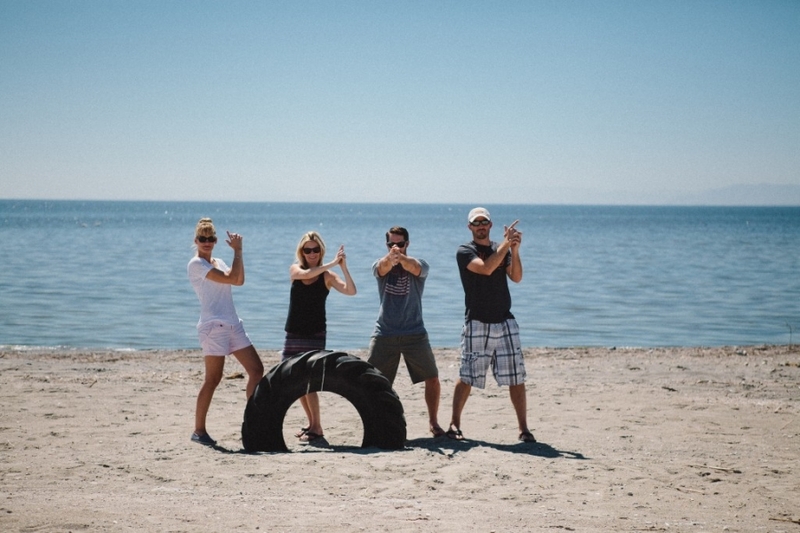 It was over 100 degrees yesterday, so we saw only a handful of people living in the the towns around the lake, places like Bombay Beach, Niland, and Salton City. 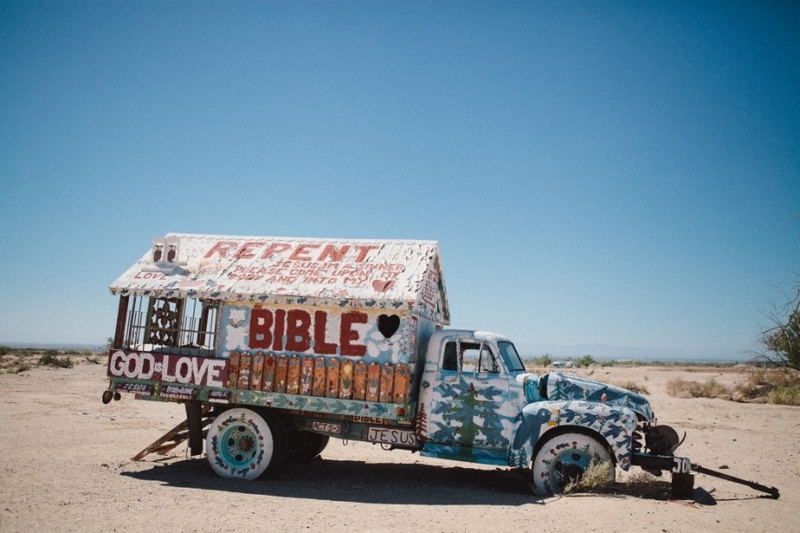 We also visited Salvation Mountain and Slab City. There are no words to describe these places – and pictures cannot capture the feel or the smells of a community centered around a dying lake. For an incredible documentary of this place watch Bombay Beach.